First off, if you're viewing this page, then a big thank you is in order for the important work you are doing in our schools and world. We'd like to support you as best as we can in continuing that work. 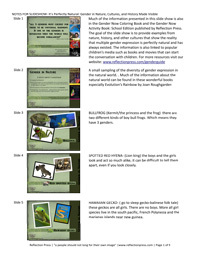 View some of our resources below with additional materials added as they are created. website offering more resources and downloads related to The Gender Wheel: a story about bodies and gender for every body. 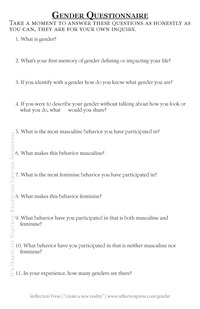 a good place to start to assess your own or others understanding of gender, a half page questionnaire with 11 questions to begin exploring gender. 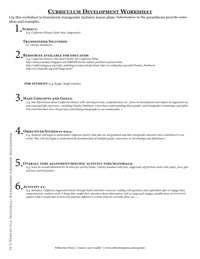 The back side contains a few resources regarding terminology, books, and resources. 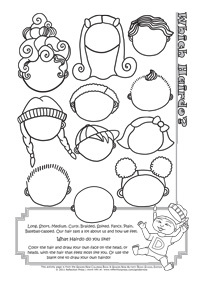 While this handout was originally provided for parents, the information can be adapted for educators also. 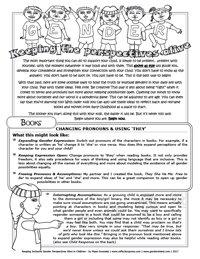 The 2 page handout provides some examples on how to provide gender expansive reflection for children in popular media such as books and movies. 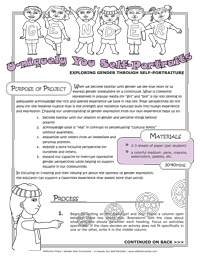 2 page lesson plan geared toward exploring gender through self-portraiture, 30-40 min. activity. 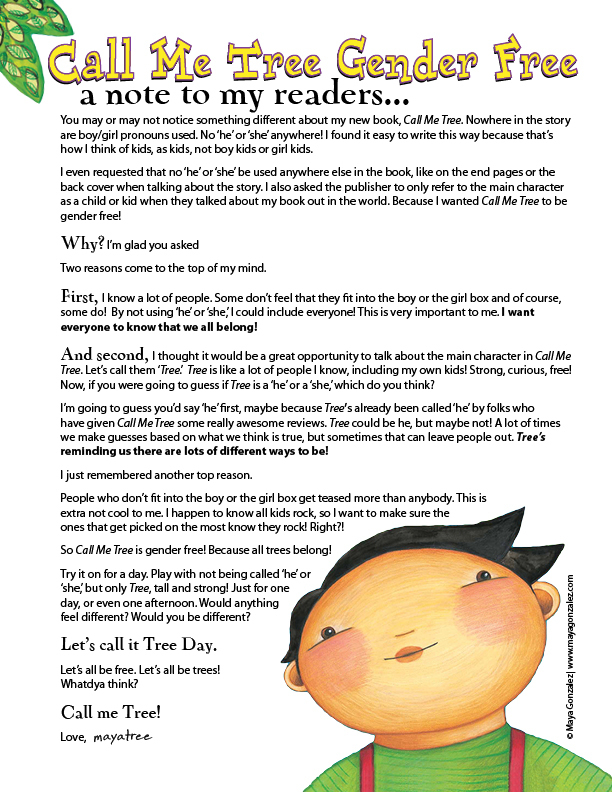 Maya's note to her readers about her book, Call Me Tree, published by Lee&Low. 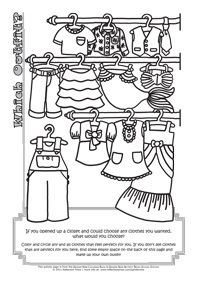 Download the PDF below or read online on her blog. The goal of the slide show is to provide examples from nature, history, and other cultures that show the reality that multiple gender expression is perfectly natural and has always existed. The information is also linked to popular children's media such as books and movies that can start the conversation with children. You can view the slideshow below but you will also need to view the notes that go with the presentation. More about the philosophy behind Gender Now. 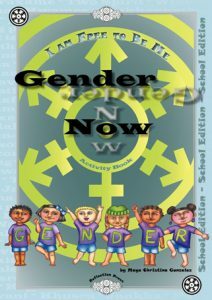 Also view Maya's Curriculum website for more in-depth look at the Gender Now curriculum and its development.